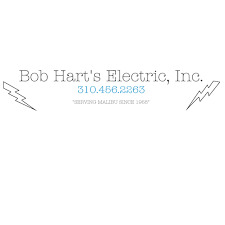 A family owned and operated business, Bob Hart’s Electric, Inc. has proudly been serving the Malibu community and surrounding areas for over 50 years. Their mission is simple, to consistently provide quality and trustworthy work to every client, large or small. Bob Hart’s Electric, Inc. specializes in both commercial and residential electrical work including serving local residents and homeowners, commercial businesses, restaurants, architects, builders and more. Founded by Bob Hart in 1958, Bob Hart’s Electric, Inc. was built on the idea that there should be an electrical company always available for anyone who needed it no matter the situation, circumstance or time of day. This philosophy still holds true over 50 years later as Bob Hart’s Electric, Inc. is locally known for their reliability, dependability and professionalism. Values centered on family, quality and honesty, Bob Hart’s Electric, Inc. is your neighborhood electrical company now run by Bob’s sons Mike and Brian Hart. Treating customers with the same respect they do family, while providing only the best services, Bob Hart’s Electric, Inc. comes highly recommended with a 5-star reputation.